All the benefits without buying all-new parts. 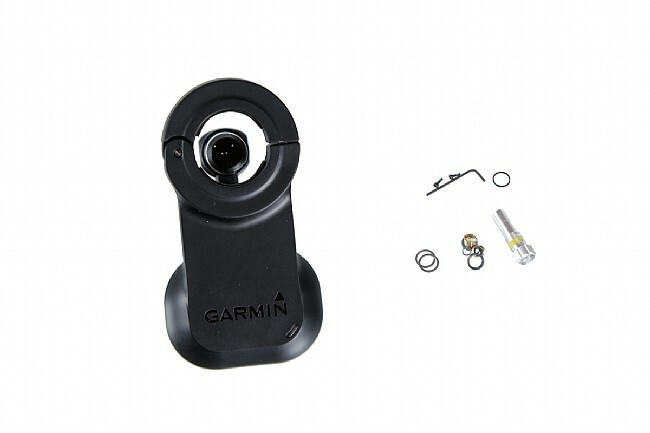 Garmin's Vector 2S upgrade kit offers a simple way to upgrade your original Vector S system and get all the benefits of the new 2S. Just swap out the pod and you've got the new product. The pedal pods have been revamped to get rid of finicky washers, with a clamp system permitting the installation of the pedal first, and the pod clamps on over it. An LED status indicator on each pod provides information for proper installation and maintenance including pedal pairing status and battery replacement. As always, the ANT+® transmission means it's compatible with Garmin Edge® computers, Forerunner® watches or other ANT+® enabled devices. Includes pod and hardware. Compatible with Vector 2S, single-sided power system. Standard size fits 12-15 mm thick cranks. Large fits 15-18 mm thick cranks. Quick delivery and easy setupcalibration for this replacement pedal pod. Quick delivery and easy setup calibration for this replacement pedal pod. This is a key part of my tri bike. I held off getting this upgrade for quite a while but wish I'd switched much earlier. Very easy to install, much better than original Vector S. All can attach pod without removing pedal (but can't remove pedal without taking off pod). Seems to calibrate more quickly than original, and it appears to be a bit more accurate, in that it comes closer to simultaneous Computrainer values than did the original. Wish I could use the two-pedal system, but the layout of my drivetrain won't allow it. If it didn't communicate with my Garmin 920XT so nicely, I'd consider one of the many other power-meter options.